The All Points West Festival will be served up on August 8-10th in Jersey City's Liberty State Park and the initial line up has been announced. 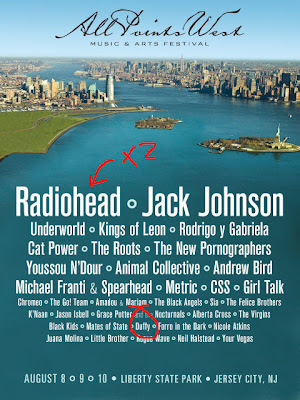 Radiohead are headlining twice (yep-twice!) and who's that I've circled on the list, why it's our little Duffy. Her career seems to be moving at an astounding pace -she's the current Number One best selling single in the UK right now with her Motown esk debut single Mercy and her new Album Rockferry isn't even released until March 3rd. 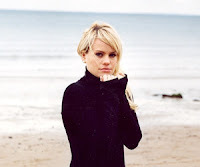 It was only last month I wrote an article titled Have you heard of Duffy yet? It seems news is traveling fast. With such a great voice one comment I have to make is I hope for her sake she doesn't get pigeon holed into the Sounds Like Motown category before she gets a chance to prove herself as a talented professional singer. Check out her performance on Later with Jools Holland.